and an all-new, high-performance eight-speed automatic transmission - all building on the advanced driver technologies introduced on the Corvette Stingray. 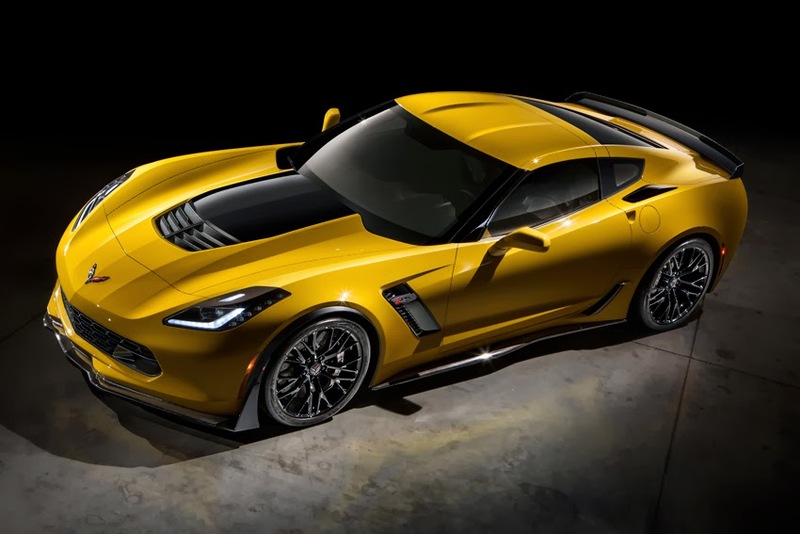 "The new Z06 delivers levels of performance, technology and design that rival the most exotic supercars in the world," said Mark Reuss, President, General Motors North America. "And the Z06 leverages the engineering expertise of GM, offering the choice of two world-class transmissions, supercar performance without supercar fuel consumption and technologies that make it easier to fully enjoy the incredible experience of driving it." The 2015 model is the first Corvette Z06 to offer a supercharged engine, an automatic transmission and, thanks to a stronger aluminum frame, a removable roof panel. The new, supercharged 6.2L engine is expected to deliver at least 625 hp (466 kw), and can be matched with either a seven-speed manual or an all-new, high-performance eight-speed automatic transmission with paddle shifters for manual control. The aluminum frame carries over from the Corvette Stingray and will be used essentially unchanged for the Corvette Racing C7.R. "The Corvette Z06 is a great example of the technology transfer between racing and production Corvettes," said Tadge Juechter, Corvette Chief Engineer. "First, we took what we learned on the Corvette Racing C6.R and applied that to the all-new Corvette Stingray. Then, using the Stingray as a foundation, the Z06 and C7.R were developed to push the envelope of performance on the street and the track." "The supercharged LT4 engine delivers the greatest balance of performance and efficiency ever in the Corvette," said John Rydzewski, Assistant Chief Engineer for Small-Block engines. "It is one of the world's only supercharged engines to incorporate cylinder deactivation technology, enabling it to cruise efficiently on the highway with reduced fuel consumption, but offer more than 600 hp whenever the driver calls up its tremendous power reserve." Tom Peters, Corvette Design Director added, "Practically every exterior change served a functional purpose, as this beast needed more of everything. The flared fenders accommodate larger, wider wheels and tires for more grip. The larger vents provide more cooling air to the engine, brakes, transmission and differential for increased track capability. The more aggressive aerodynamic package generates true downforce for more cornering grip and high-speed stability."